Westminster’s lower school (grades K – 2) offers your child a remarkable adventure in learning, fun, friendship, and personal development. Within a warm, nurturing environment, students are encouraged and taught how to exercise independence, responsibility, respect, and kindness, as well as the knowledge, skills and attitudes fundamental to their delight in learning—today and always. 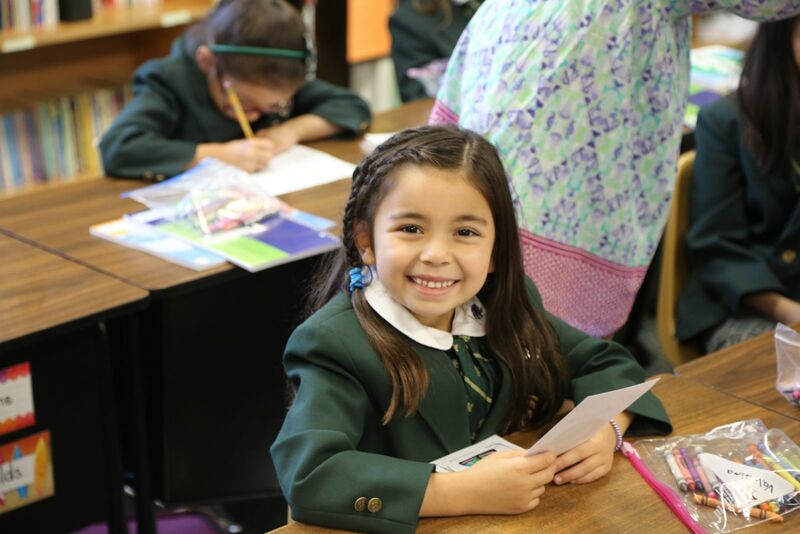 Firmly grounded in the school’s overall mission and ​philosophy, the lower-school program provides a carefully planned, consistent approach to all aspects of your child’s intellectual, emotional, and social development. Students in the lower school are excited about coming to school each day and proud of what they accomplish. Daily work and special projects provide many opportunities to explore the world, discover special interests, and exercise their creativity. A challenging curriculum provides opportunities to learn about a broad array of subjects at an accelerated rate. High-quality, in-depth curricula are in place for all subjects taught in the lower school, including language arts, math, science, social studies/history, and French. With Westminster’s learning-friendly environment and teacher specialists, our students are exposed to a greater breadth and depth of knowledge, and progress at a faster pace than their peers in public and other private schools. Students work approximately a grade level ahead in core subjects. Participation in the arts is essential to the development of a well-rounded, fully-realized individual. Lower-school students are given a strong foundation in the visual and performing arts through regular classes, arts-related field trips, an art-rich physical environment, and many opportunities to attend and perform in school music programs and dramatic productions. Dance is included in the P.E. curriculum, and lower-school students are featured in an informal dance showcase each spring.